The 2nd release of Tio Pepe’s limited edition – bottled unfiltered from the heart of the cask, at the height of flor growth. 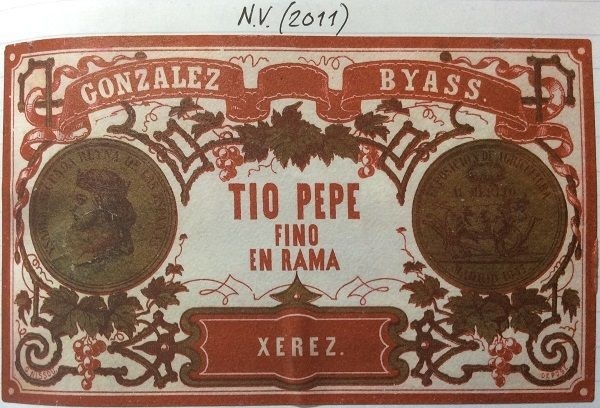 I’m not a huge Tio Pepe fan, but had heard good things about this, so went for it. Raised expectations probably left me a little disappointed, but this is both a good Fino, and more to my liking than the filtered, commercial bottling. Far deeper colour: rich yellow-gold, with a faint haze. Medium intensity nose of putty and green apple skins, but with ‘softness’ and hints of dark fruit (blackberry leaf?) and the slightest cocoa note. Swirling releases creamy, leesy notes. Complex, and subtle. Almost sweet, yellow apple, then a dry, chalky mid-palate, and into a slightly nutty, smoky, medium+ length finish. Just a bit up-front on the palate, leaving a slight mid-palate hole that lets the wine down compared with its nose.